(CNS): Officers from the customs department will soon know exactly what is in people’s containers without even opening them, as a result of purchasing state a of the art high energy X-ray cargo inspection system to cut the flow of weapons, narcotics and contraband in and out of the country. The close to $3milllion contract was awarded to Smiths Detection Supplies which the Caribbean firm states is its largest contract to date. The system distinguishes between organic and inorganic substances by using color-coded material discrimination. Jeff Jackson, Assistant Collector project coordinator said the acquisition of the HCVM which is the most advanced technology of its kind in the Caribbean demonstrates the department’s commitment to combat drug smuggling and other prohibited items and safeguard customs revenue. In a release Smiths said the HCVM uses viZual threat identification technology which allows the detection of narcotics and other suspect substances hidden in standard commercial shipments. Coupled with other HI-SCAN Cargo Inspection Systems, the full array of scanners will help reduce the need for manual inspections by showing customs officials that goods in containers match those declared on the manifest. Eduardo Parodi, Director of Sales for Latin America & Caribbean, Smiths Detection, said: "This is Smiths Detection's fifth High Energy System deployed in the region; all our systems have had a strong history of return on investment for their end users in terms of narcotics seizures as well as revenue collection. The effective use of advanced technology supported by our investments in regional service capabilities truly allows Smiths Detection to stand out among competing manufacturers." Smiths Detection deploy more than 65,000 X-ray inspection units in more than 180 countries, 6,000 desktop explosives trace detection systems, 186,000 chemical detectors, and around 500 cargo inspection systems worldwide. It is part of Smiths Group which employs around 23,000 people in more than 50 countries. 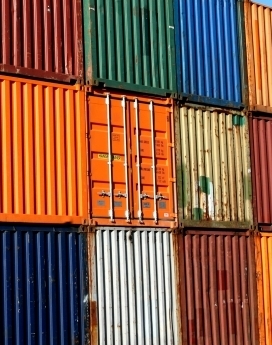 According to information on the CTC website it was awarded the contract officially in May and is now required to provide customs with an effective way of verifying that the contents of either an imported, in-transit or exported cargo container at the port and other inspection sites correspond to the manifest or do not conceal forbidden or controlled items. Smiths will not only provide the fully mobile X-ray inspection systems but will install the system and deal with the maintenance and service and after sales support. This is wonderful news, but not only do you need to search the containers, you also need to search the port employees and their vehicles as well,if this is not already being done. (THis is what is being done in gold mine and factories around the world. When entering and preparing to leave the facility, they are thoroughly searched,patted & X-rayed to ensure that they do not have one single piece of gold hidden on their person to prevent them stealing and gold leaving the facility) The illegal contraband does not leave the containers on its own. It has to be unpacked by the port workers, moved from the view of any suspecting Supervisor or colleagues, hidden somewhere at the port before being taken in their vehicles,driven out of the facility and then distributed the waiting unlawful citizens. Since we are spending $3 million to buy a machine to scan containers does this mean Customs will be cutting some of their staff that currently do container inspections? If government is truly looking at ways to cut cost it should be one or the other, if officers can do this job thoroughly then save the $3 million but if we are going to spend $3 million then cut back on current Custom staff! And before we have to wait for someone to do an FOI on the tendering process can Mr. Jackson provide details whether or not this was done in accordance to the guidelines. Are we getting value for money?????? As a true born Caymanian I am so pleased to learn that this piece of equipment is being bought, thanks to all concerned in this project. Being able to detect incoming unacceptable items whether they are drugs, pesticides, guns etc. are all necessary and relieving to the public, BUT I have never been so pleased to know this piece of equipment will also work both ways, especially with outgoing things leaving our island.. With the amount of robberies taking place and the police cannot find the items, this is our ideal answer. Imagine coming home and tfinding the entire furniture in your home is gone, and cannot be accounted for, search after search and an entire household can be moved and not know where it is gone. It is a shame for a person who see this equipment as an invasion of privacy with the amount of stolen items that are unaccountable in our island. What about the container that was headed for a certain island and items were seen in there stacked up from several hardware stores, electrical stores, some with the name of the stores was still on them, and of course it set sail even thought it was known by certain individuals, expalin that. Believe it or not, Cayman is in a serious condition, when furnitures, electrical items, TV, laptops, fans, expensive games, wheelbarrows, etc. the entire house can be stripped in a few hours and disappear, we are in a deep mess. May God bless our island and the forces that help to maintain good governing. "The close to $3milllion contract was awarded to Smiths Detection Supplies which the Caribbean firm states is its largest contract to date." "Smiths Detection deploy more than 65,000 X-ray inspection units in more than 180 countries, 6,000 desktop explosives trace detection systems, 186,000 chemical detectors, and around 500 cargo inspection systems worldwide. It is part of Smiths Group which employs around 23,000 people in more than 50 countries"
You mean to tell me that this is their largest contract to date! How can that be if they have provided that much equipment around the world? Sounds like we are not getting the unit at the normal retail price….. This is a very good thing in terms as, as far as, with respect to, at the end of the day, this is a good thing and it is as a result of the UDP not the PPM. How bout we not take go into which party did what for once and just gather around the fact that this is something good for the country and is going to be a key factor in the fight against crime. Is that too much to ask? I am tired of hearing the rant about the PPM. What we need to do is get down on our knees and pray to God that things will get better and the way of life improves in the Islands that we call home. PPM did not cause the world to be in a recession. Our biggest problem, is the fact that every lazy, low-life is sitting on their backsides waiting for an handout. Remember, 'by the sweat of your brow, you shall eat bread', this equates to hard work. The PPM did not issue ultimatims to investors for any kick-back. We still have honest people among us and those who are willing to see the Cayman Islands float not sink. Get over the party politics and put your hands to wheel and help steer the good ship Cayman to a safe port. Praise God this will surely put us a step forward towards defeating the devils bent on destroying us. This is an invasion of privacy. Nobody should be able to snoop on what I ship. What I ship is private and nobodys business but mine. Shame shame shame. 20:28, You have nothing to worry about if you have nothing hiding. Now I will be able to find my glass windows, my Tv, Microwave, my Bedspreads and towells. oh before I forget I should be able to find my Laptop too. This is good money being spent. No No No. Privacy invasion. Ypu are wrong. They have no business. It's a waste of money and it should be illegal. I beg to differ with Mr. Jackson with his viewpoint being that by the customs department purchasing such an expensive piece of equipment demonstrates their commitment to combat drug smuggling. if the Customs department was so interested in combating drug & gun smuggling we would see their officers doing more searches (containers, car imports, baggage import, courier packages etc.) We would hear more media reports about seizures and sting operations. But we don't! This very expensive scanner will probably end up like the scanner their department purchased and placed at the airport = not being used, taking up space and costing us maintenance fees to service it. I'm sorry Mr. Jackson & The Collector of Customs you got this one wrong! Save the money and get your officers out there conducting searches! And please update us to the status of the Customs officer who was recently placed on leave /suspension from duty for allegedly assisting the drug smuggling into the UK. I hope they don't think this is the answer to all the contraband coming to this island. While I'm sure this will help its a lot of money to spend on a scanner, maintenance costs etc when we have custom officers who are already being paid a salary and could do more container searches. At a time when the island is supposed to be spending less in the public purse can we be sure that this is money wisely spent? Did this go through the right tendering channel? And are we getting value for money or will it be another helicopter fiasco that cost the country a lot of money, can't be maintained on island and operating costs are high. Sometimes we just can't buy every idea that's being sold to us! The Xray machine will work , we forget the pair of eyes that have to watch it. The Xray machine doesn't speak does it? this is just another expensive toy for government just to say they have. Its not the equipment needed it is PEOPLE Good people . I do hope, as a result of this, the speed at which our containers are processed and released, will be dramatically reduced. Lets hope it does what they say it does and they actually use it effectively. Is this the same portable scanner that they can use to scan vehicles to detect weapons? Should have kept that a secret , now they know not to go that route!! (Bad guys)I know word would spread eventually but let it be that way and at least make the investment pay off with a capture or two. This should be the headline story today…don't understand why it is buried so deep on this Blog page. Well, before this, they couldn't see the contraband in the containers so they had an excuse when it got through – I wonder what will be the excuse now. They have a lot of great and upstanding people working for Customs and the Port Auth. But i know there are some (maybe few) unscrupulous "bad eggs" in the barrel. Raise your hand if you brought contraband into Cayman, Customs Officer saw it and let you go with it. 10:01 Dear me, can you people please see a positive side of anything. I think this is one of the best dollars ever spent by the Cayman Islands Government. Mr Jackson I say use it well, because it was well needed. Exactly. Money well spent in my book.